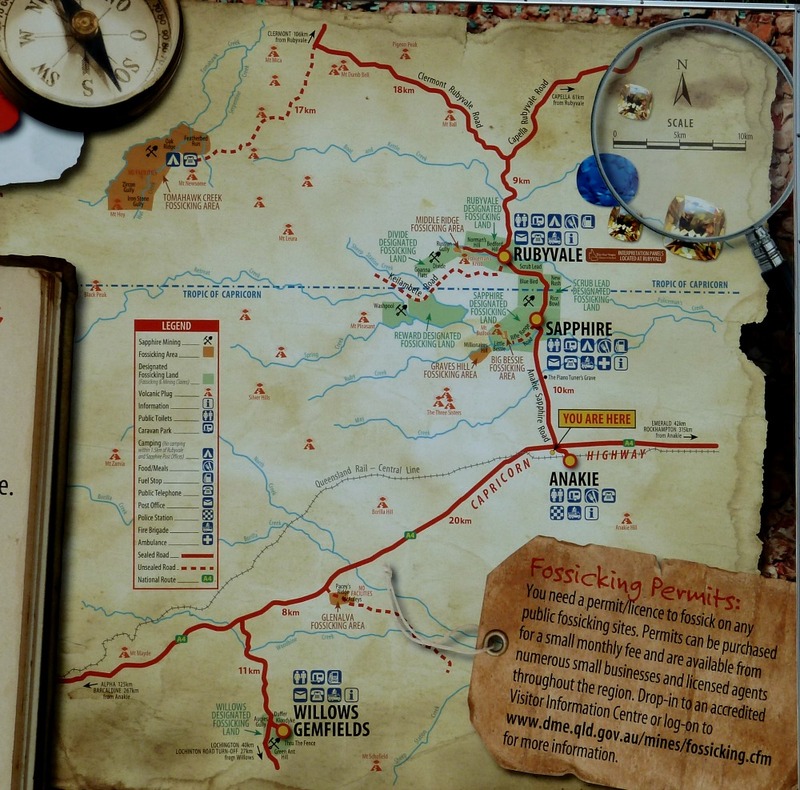 There can’t be too many places you go on holiday, or for a break, where your destination appears so intent on ensuring you’re left wanting for nothing, as on my recent visit to the Gemfields in central Queensland’s outback. First port of call – “The Willy Wash”, which comes decked out with south pacific umbrellas so you don’t get hot and bothered when shaking out the dust and putting your rocks through the willoughby. 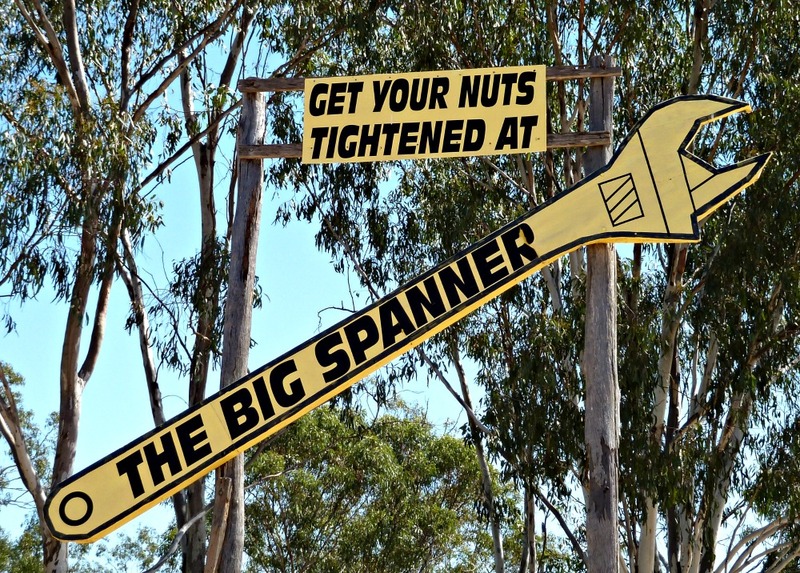 Then on to the Big Spanner should you need a little readjustment to Get Your Nuts Tightened. But, slow down… not too fast there! If you dig on this claim you will be shot!! If you haven’t made your fortune, you could always try your hand at some other profession? You may now be able to afford to buy Buckingham Palace. The Leaning Palace of Buckingham may be more apt? Be sure you don’t get caught up in the rush hour at the Rubyvale roundabout. Before you head up to enjoy the sunset atop of Policeman’s Knob. A project initiated by Cameron Cross, which he hopes will eventually see seven such constructions across the world each portraying one of Van Gough’s seven Sunflower paintings. The first was made by the artist in Altona, Canada in October 1998. Emerald’s was the second to be constructed in 1999. The third was completed in 2001 in Goodland, Kansas, USA. 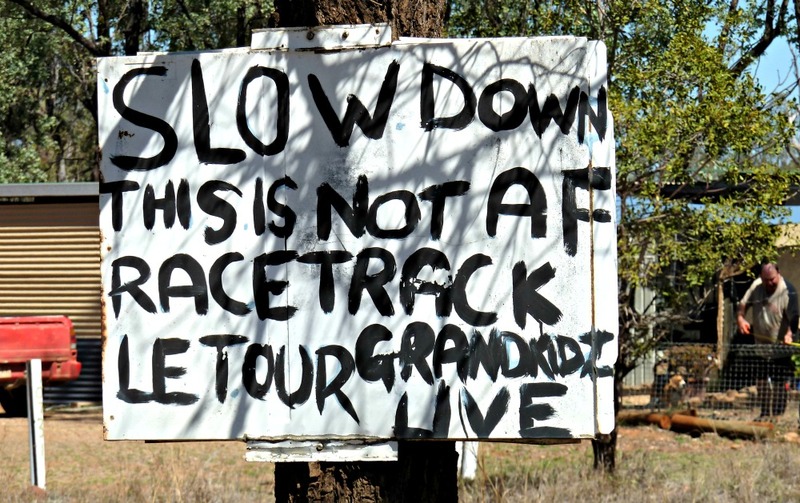 What funny Australian signs have you seen on your travels? Or for that matter, across the world? 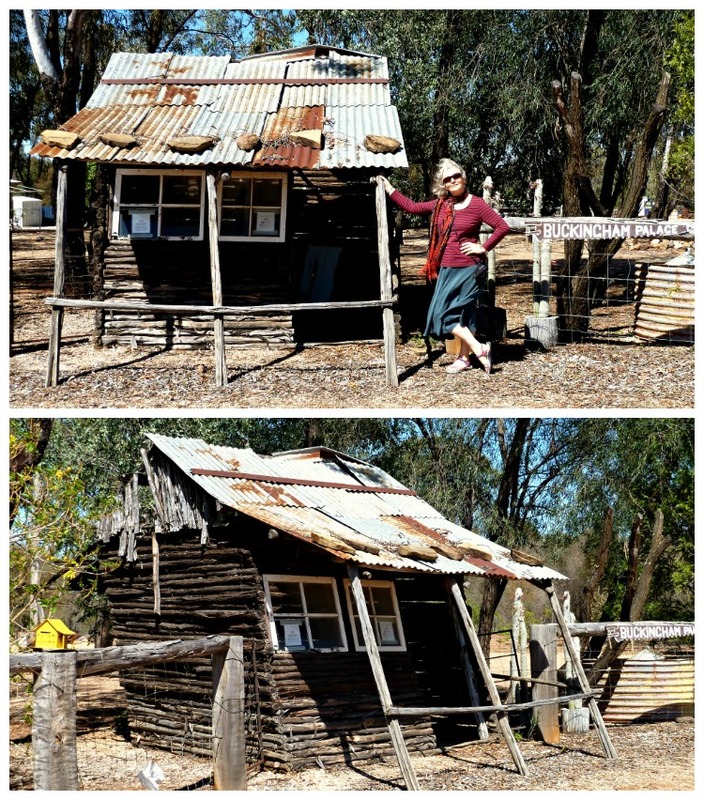 This entry was posted in Australian - Landscapes, Tales of a Traveller by Linda. Bookmark the permalink. I did take photos of signs in Australia last fall because your animal warnings were so far different from the animal crossing/warning signs in the Pacific Northwest. I had forgotten about them until reading this wonderful post. 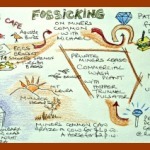 I love following your blog – it is a joy to see it come up in my reading list! 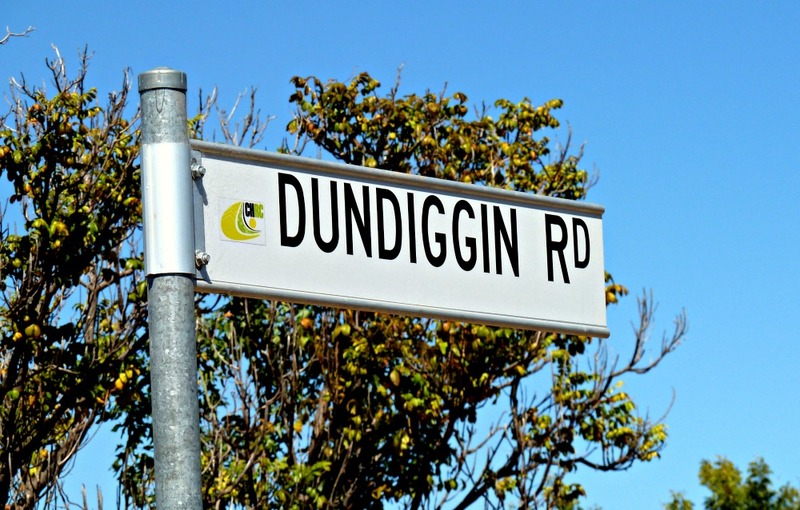 Yes, even I find our Aussie animal signs a delight! I love that you can get your nuts tightened after the Willy Wash- before might work, too-lol. Great Outback signs! I’m not sure that that would put me off their nuts!! 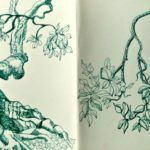 I’ve been reading serious blog posts today so what an absolute joy to come across yours which had me so tickled that I laughed out loud at the computer. Sad I know, but wonderful to be reminded of great Aussie humour and someone who has the ability to put it together in a wry, wonderful story with pictures. Someone has a sense of humour. 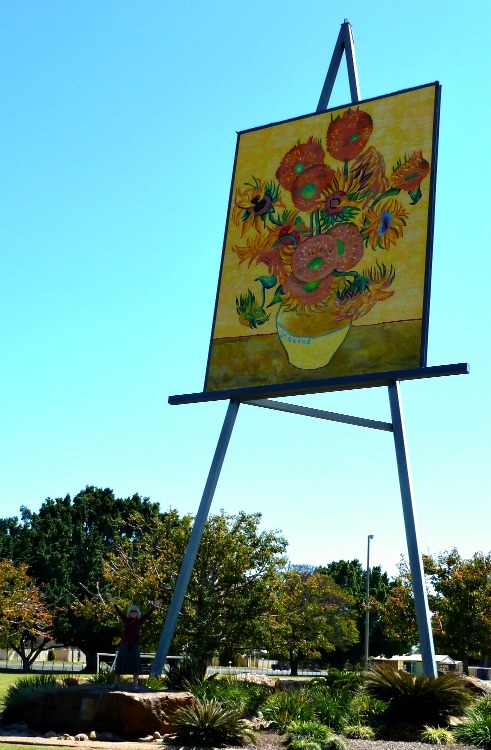 I love the signs – and the supersized van Gogh. Looks like a delightful place to visit. Perhaps not as fun as these, but we loved all of the animal signs in Australia. Sounds like the people of Queensland (Queenslanders?) like a good and bawdy belly laugh as do I! What fun discovering the sights and reading the signs! Love your signs story, Linda! 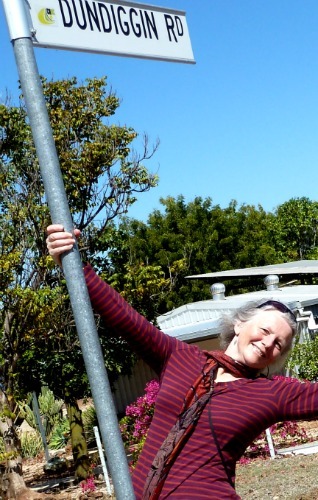 You had me at pole dancing – lol! This was a fun read. I was giggling as I looked at the pictures. It makes me want to fly back to Australia to see what I can find. So pleased you had a giggle – We certainly were laughing when we spotted them! 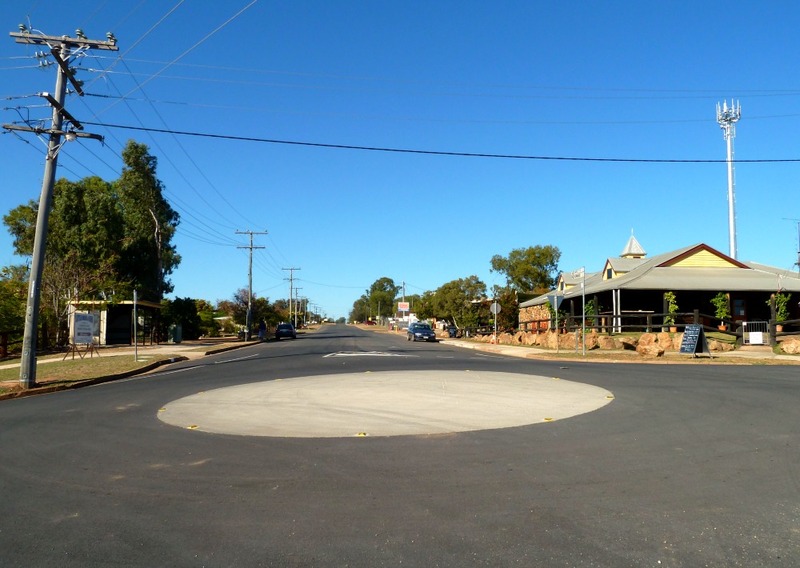 What a hoot Linda, the cities of Australia really lack the larrikan spirit of the bush. You’re right – City folk could learn a lot from bushies! 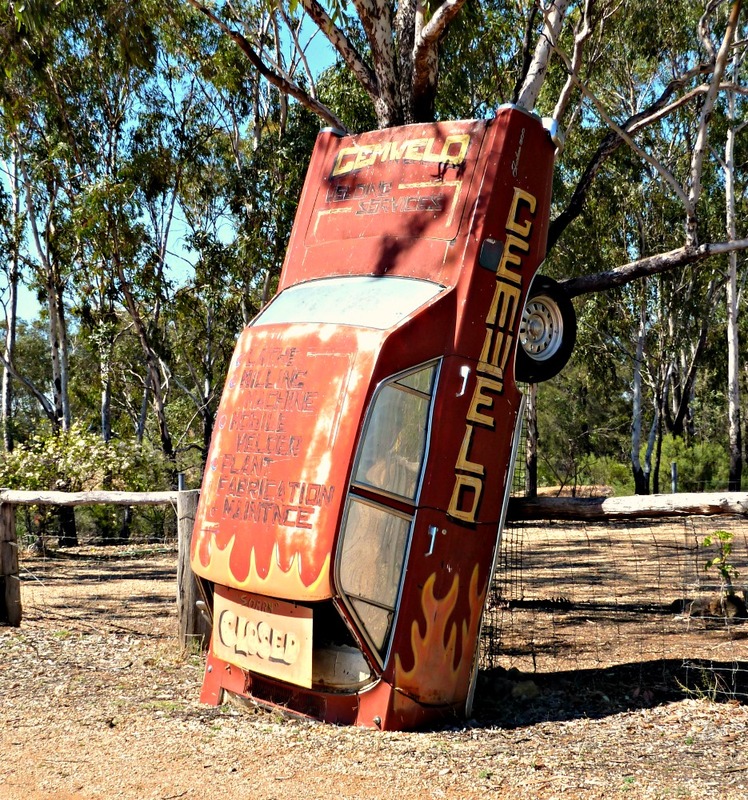 That’s the joy of outback Queensland – It’s full of characters! These are hysterical and I love the photo of you pole dancing 😉 I’ve only visited Melbourne so haven’t had the opportunity to see the Australian outback. Thanks for the laughs! You’re in for a treat when you do manage to make it back down-under Michelle! Fun signs are always entertaining. Thanks for sharing. Such a nice breath of humor for us Linda. You might have a future in poll dancing! 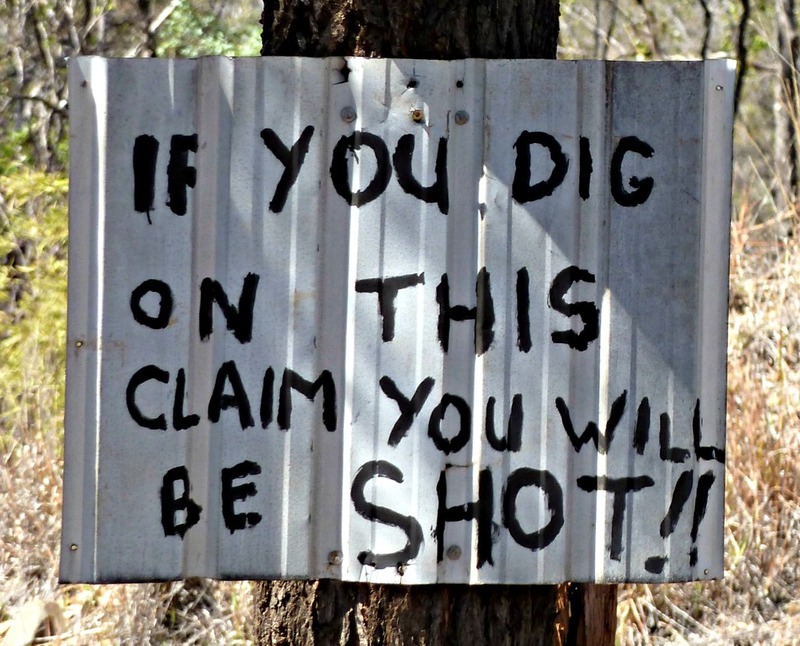 Seems like there might even be a sign competition in the outback of Queensland. Pingback: Why Should the Big Road-Trippers Have All the Fun? Maybe that’s why I loved it so much: I love a place with a good sense of humour! My daughter living in Australia sent me to cafe south of Portland, OR. The name of the cafe “Wankers Cafe.” I sent her a T shirt! When I first read that I thought you must be pulling my leg – so I had to look it up to see – was there really a Wankers Cafe? Now – that would be a T-Shirt hehe!